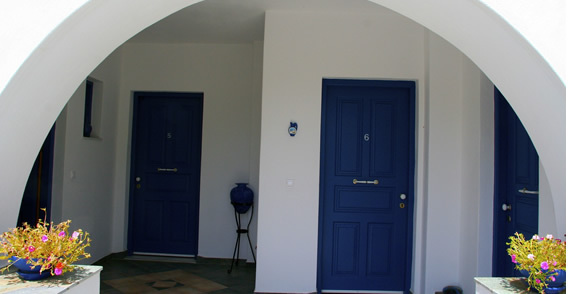 Welcome to Studios Pavlis ! 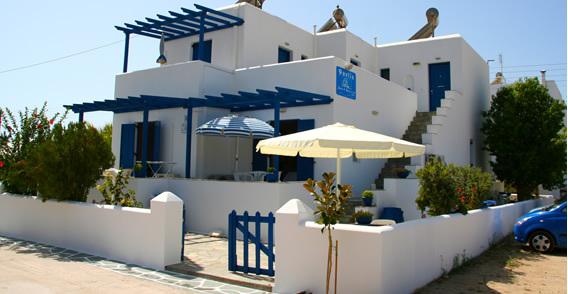 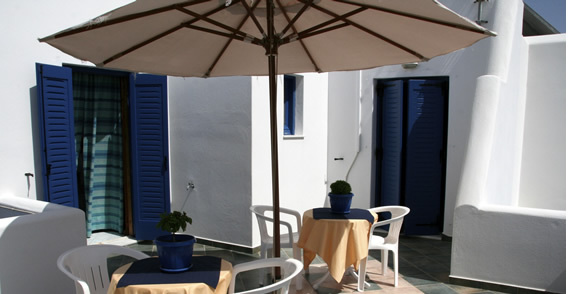 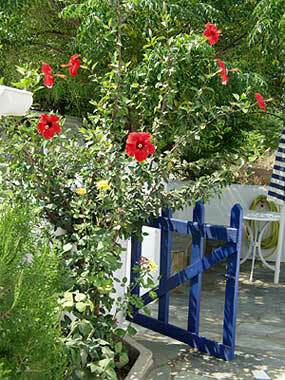 Pavlis Studios is a tourist accommodation facility in a lush garden of the Cycladean style, only 3 minutes from the beach of Livadia in Parikia of Paros. 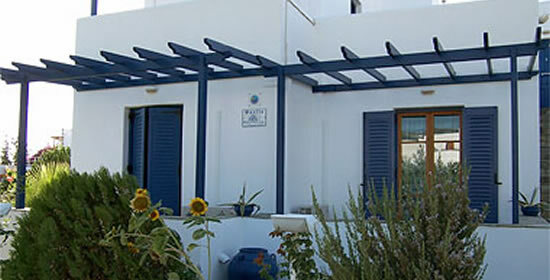 Pavlis Studios is located in Parikia, specifically in Liarokopi only a few minutes away from the centre and the old town. 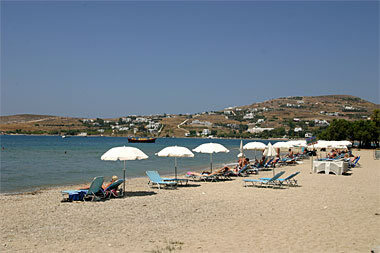 The beach of Livadia is in a distance of only 3-4 minutes on foot. 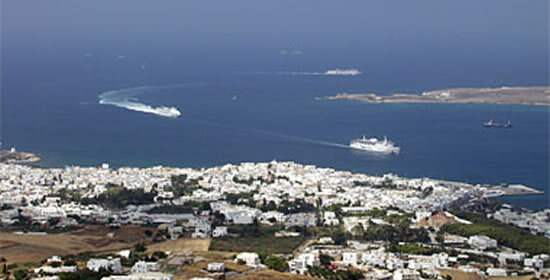 Across the bay of Parikia you will find the beaches of Krios and Marcello which can be reached easily by car, on foot or by boat from the port. 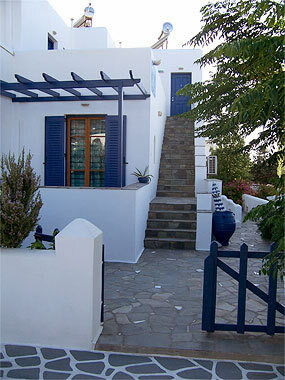 Close to you, you will find taverns, restaurants, café and mini markets as well as other stores. 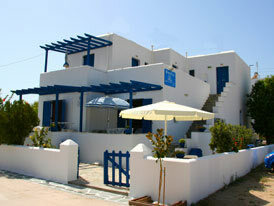 The port and the bus station are 10-15 minutes away. 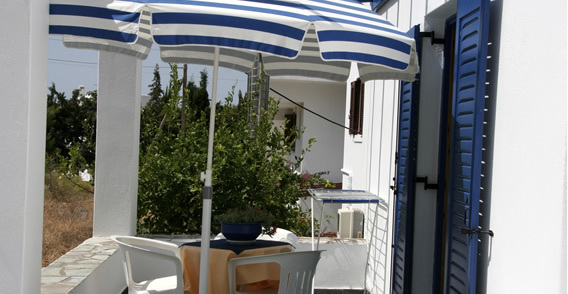 Pavlis Studios offers studios with kitchenette for 2 -4 people, and simple rooms for up to 3 people. 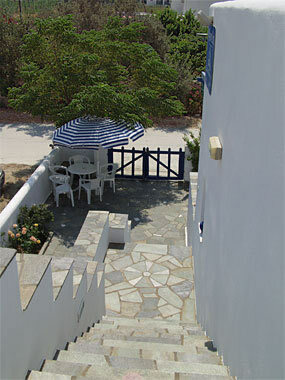 All have a small refrigerator, TV set, A/C unit, and balcony or veranda with view to the garden. 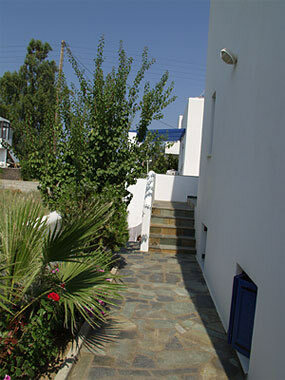 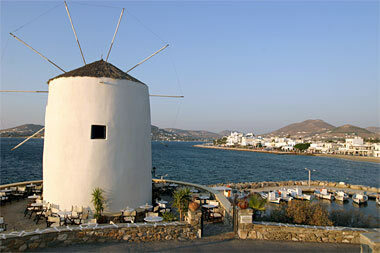 The area is quiet although it is close to the port and the centre of the town that are only 10 minutes on foot. 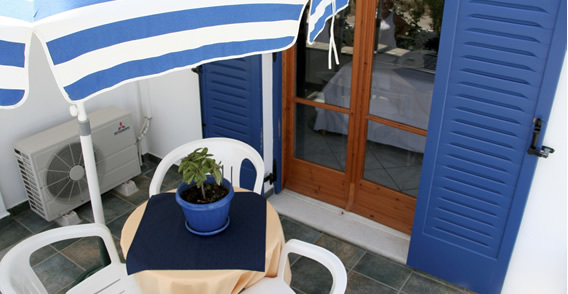 The impeccable service, the cleanliness and the hospitality are the key ingredients that make a good recipe for memorable holidays!